Sienna Plantation in Missouri City, which increased sales from 372 in 2017 to 544 in 2018. 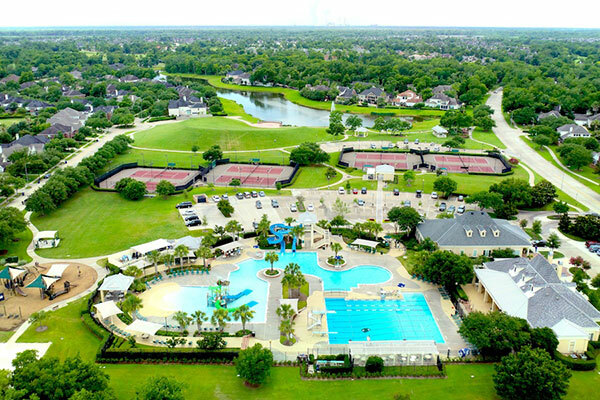 HOUSTON – (By Dale King, Realty News Report) – Houston has nary a single master-planned community (MPC) in the nationwide Top 10 list in RCLCO Real Estate Advisors’ 2018 Housing and Community Preference Survey. But don’t fret. The Bayou City makes up for this extremely minor shortcoming in many superlative ways. Sienna Plantation in Missouri City, Texas, which experienced a 46% increase in sales last year over 2017, placed No. 14 on the national ranking, the highest mark reached by a Houston-area MPC. Others in the Houston area with big tallies were: Bridgeland, located in Cypress, whose sales grew 14%; Cross Creek Ranch in Fulshear, ranked 25thwith 15% growth in sales; Aliana in Fort Bend County, which sold 430 units compared to 428 in 2017; Harmony, ranked 25 and located in Spring, Texas, whose sales remained at 425; Riverstone, also in Fort Bend County, ranked 35 with 15% growth; Woodforest, in Montgomery, ranked 37thwith 8% growth; The Woodlands, ranked 42 with a 1% increase in the number of units sold; Balmoral, ranked 43, which again sold 334 units; Lago Mar in Texas City, number 44 and unchanged at 321 units sold and Wildwood at Northpointe in Tomball, tied at 50thplace with Wiregrass Ranch in the Tampa area, each selling 315 units. “While some metros have one or two dominant, large-scale MPCs, Houston has numerous moderately sized and several large MPCs that in aggregate account for a large number of sales,” said Todd C. Larue, managing director of RCLCO. He said The Woodlands and Cinco Ranch are just two Houston MPCs that have placed in single digits. Despite steadily rising home prices and increasing mortgage interest rates, 2018 was generally a good year for master-planned communities. The Houston-The Woodlands-Sugar Land metropolitan area accounts for 70% of communities on this year’s Texas Top-10 list, says the report. “The Houston area continues to see momentous growth,” says the report, particularly in Fort Bend County to the southwest and increasingly in Montgomery County to the north, aided by major road expansions, such as the Grand Parkway, which continue to increase accessibility across suburban areas outside the central Houston core. Developers cite easy freeway access, a mix of quality builders, social and recreational amenities and high-quality schools as the primary sales drivers in the top-selling communities in Texas. Despite significant flooding across the metro in 2017 due to Hurricane Harvey, sales in the northwest and southwest suburbs have remained particularly strong. The survey says communities within the Dallas-Fort Worth-Arlington metropolitan area comprise the remaining 30% of 2018’s Top-10 selling Texas communities. Employment and household growth continue to stretch north of Dallas, predominantly along major corridors such as the Dallas North Tollway. The Austin-Round Rock metropolitan area maintains its position as the third largest market in Texas. The population of Austin continued to grow at a rapid pace through 2018, in part fueled by large technology employers which have an increasing presence in the metro area. The RCLCO report does indicate a demand for a broader range of home types and sizes than is currently being delivered, though builders give a variety of reasons why they cannot meet the demand for lower-priced, entry-level homes. They credit their “market segmentation strategy” — the targeting of a wide range of age, income, and household segments with appropriately priced and designed residential product types and lifestyle amenities — as a key ingredient of their success. RCLCO’s outlook for 2019 is a bit grimmer. Average new home prices are up more than 50% since the recovery from the Great Recession (not adjusted for inflation) and that, combined with higher interest rates, will continue to dampen the pace of sales. While economic growth may slow in 2019, most economists are not predicting a recession before 2020. Consumer confidence remains strong. If and when uncertainty becomes greater, MPCs typically benefit as consumers perceive them to be a safer bet to preserve equity.